So far this season has tossed up a few shocking starts along with a few of the usual suspects when it comes to fantasy players. So many of us experts had pre-season expectations for certain players that just have not met these expectations, such as Eden Hazard. Now that we are three weeks into the season with gameweek four coming up this weekend, there are quite a few players that are starting to separate themselves from the rest of the pack. Some of them are new faces, while others have been around before. After three matches this season the leading scorer is a player that is currently priced at £6.0 and has picked up 35 points so far. Riyad Mahrez is not necessarily an unknown quantity, I know I had him last year, but he is a player that wasn’t expected to be doing quite as well as his has. Along with him is his midfield teammate Marc Albrighton priced at £5.1. After Mahrez the next three highest scorers are Manchester City players with Vincent Kompany (£6.3 and 31 points) and Yaya Toure (£8.8 with 28 points) making a return to the top of the table. Alexsander Kolarov may not be a surprise, but he was not the City defender expected to be at the top of scoring. He seems to have nailed down his place in the team going forward. Nathan Redmond is not a new player to the Premier League and he is one that I had previously tipped to do well this season as a break out player. Norwich City has an upcoming string of somewhat favorable matches and Redmond will continue to be at the center of their scoring. Manchester United’s defense has been strong this season and led by Chris Smalling. The problem is that these players are priced somewhat high with Smalling at £6.1 with 22 points followed by Matteo Darmian (£5.7 with 20 points) and Luke Shaw (£5.6 and 19 points). It has been several years since FPL managers felt comfortable picking United defenders, but this could be the season to do so. As for forwards, Bournemouth’s Callum Wilson has been a great value pick at £5.5 and scoring 21 points to date. The problem for him is that his goals will likely come in bunches. Bournemouth did very well in the Championship last year, but the Premier League is a completely different league. Wilson will continue to lead their line, but he is a player that should be used sparingly based on fixtures. 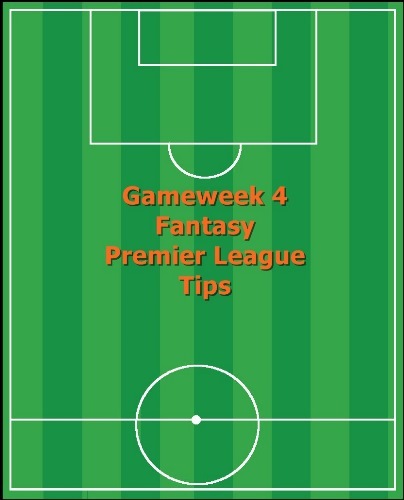 If you are looking for more Fantasy Premier League tips you can read my weekly posts over at Togga. While you’re there sign up for the Perfect XI game (referral code: BC9KYH9JSN) and read all of their great fantasy tips. ← Entranced: Players that will immobilize your opponents defense.